This year's March for Peace on Chicago's South Side could be one of the largest ever. Alex Maragos reports. Joined by celebrities like Chance the Rapper and Jennifer Hudson, Marjory Stoneman Douglas survivors and others descended on Chicago's South Side Friday night for a Peace March and Rally at Saint Sabina Church. For the past 10 years, the church has marked the end of Chicago Public Schools' school year with a peace rally, inviting community members to join together in solidarity against gun violence. Friday's event was the first in a series of events organized by the church during the summer, which is statistically the most violent season in Chicago. "Preparation for this has been unlike any march that we have had," Trevon Bosley, who helped lead the Friday event, said. "We've had pretty big marches here but this year we plan on the crowd being way larger than ever before." The annual tradition featured speeches and performances from Hudson, Chance, prominent Parkland student and activist Emma Gonzalez, former congresswoman Gabby Giffords and student leaders from several Chicago-area schools. Friday's event also kicked off the Parkland, Florida, students' voter turnout initiative called "March for Our Lives: Road to Change," a multistate bus tour that will encourage young people to register and vote in the upcoming midterm elections. With more than 50 planned stops in 20 states, including Iowa, Texas, California and Connecticut, the young activists aim to "register young people to vote and educate them on the reforms we need to save lives, and whether their local elected officials support these reforms or support the NRA," according to their website. Besides the national tour, the Florida students plan to do a separate tour in their home state, stopping in all 27 congressional districts to register voters. The youth-led movement for gun reform was organized by survivors of the Feb. 14 massacre at Marjory Stoneman Douglas High School, where a gunman killed 17 students and faculty. "They use their platform and their privilege to help us and we use our experience and our knowledge about the gun issue and how different things play out to help them," said Chicago organizer Anthony Lovelace. But beyond the buzz of celebrities, music, friends and supporters, organizers said they don't want the message behind the reason for the march to be lost. 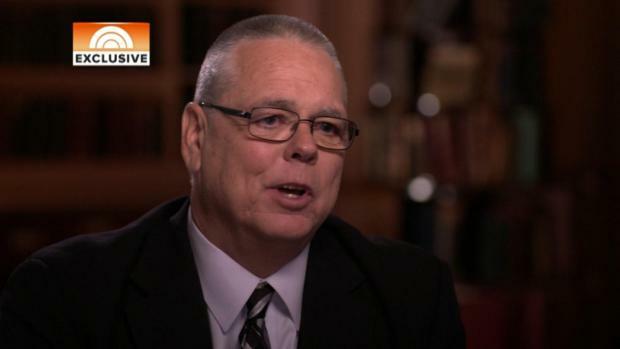 Scot Peterson, the campus officer who stayed outside Marjory Stoneman Douglas High School as 17 people were gunned down inside, is speaking publicly for the first time since the massacre. "I'm never going to get over this, you know. Those were my kids," Peterson in an exclusive "Today" interview. "It's unfortunate that it took kids on Valentine's Day as school was letting out to be killed for people to pay attention but as long as paying attention to the issue," Lovelace said.